Though King Hall was built in 1935, it came into use by the college in 1970. Today it is still occupied by the college, being used by Alumni Relations for offices and work functions. 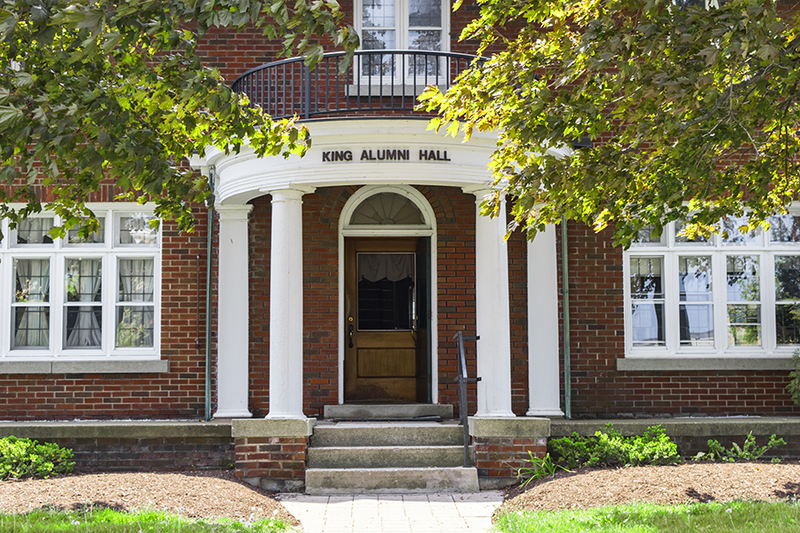 Not all of the Alumni Relations offices are housed there, but a majority of the department operates out of King. Carol King graduated from Mary Washington College, the women’s division at the University of Virginia, and then went on to receive her Master’s Degree from Columbia University. In addition to her dedication to teaching, she was a camp counselor and swim instructor during the summer. She also had a passion for training dogs for the show ring, which she shared with others through the obedience classes she taught for dogs. King began working at Oswego as the Assistant Dean to the female residence halls, where she became known for her kindness and understanding of female students. Her work with students and college organizations paved the way to her position as dean.